American Idol: Season 12 Premiere | Sweet . Sassy . and a bit Smart-Assy . Last night initiated the kick-off of American Idol: Season 12. J-Lo and Steven Tyler are out and now the judging panel consists of Mariah Carey, Keith Urban, Nicki Minaj, and Randy Jackson. And, of course, Ryan Seacrest is still the host. There was a lot of build up the past month about Mariah and Nicki butting heads and most of those things I read or heard make Nicki out to be the one that instigated everything. But from what I saw last night, it was all Mariah. From the very beginning the two of them were arguing. It started because Mariah gave some snide comment about Nicki’s hat saying, “We can have accessories. I didn’t know that was allowed. That’s all I’m gonna say.” Sure Nicki’s hat was one that a marching band conductor would wear but does that really mean that Mariah needed to say something about it? It was clearly just to start an argument. Every time they had an argument it was because Mariah was being a huge, bitchy diva and I wanted to punch her in the face and she wasn’t even talking to me so I can’t really blame Nicki for getting irritated with her. They even argued over a quote from Mean Girls!! Seriously?! What are y’all, 12? Grow up. James Bae. This poor kid. He is the type of person that comes on this show that I just feel so bad for. He sang Justin Bieber’s One Less Lonely Girl with dance moves and everything. It was horrendous. I would like to say that I was pretty impressed with the way that Nicki Minaj handled this though. While the other judges were laughing at him, she was very kind and it kind of took me by surprise. She took his hand and told him, “I really mean what I say when I say that you are special, just not for this competition. But I think for life in general, I love that you own it. You’re so young (he’s 15), you’re not afraid. I would never do this when I was your age. I was so scared.” She then stood up and gave him a hug and a kiss on the cheek. It was really sweet. Christina “Isabelle”. This girl is 21 and from Boston and she had a stunning voice! I loved her! She is super adorable too so I think America will really like her. When she sang Summertime from Porgy and Bess, it seemed effortless. She has one of those voices that makes you want to close your eyes and soak it in. Watch her audition here. Christina “Isabelle” will be one to go far in this competition, mark my words. Evan Ruggiero. He was a dancer and performed in musicals when he was diagnosed with cancer. He had 16 months of chemo but eventually had to have his leg amputated. 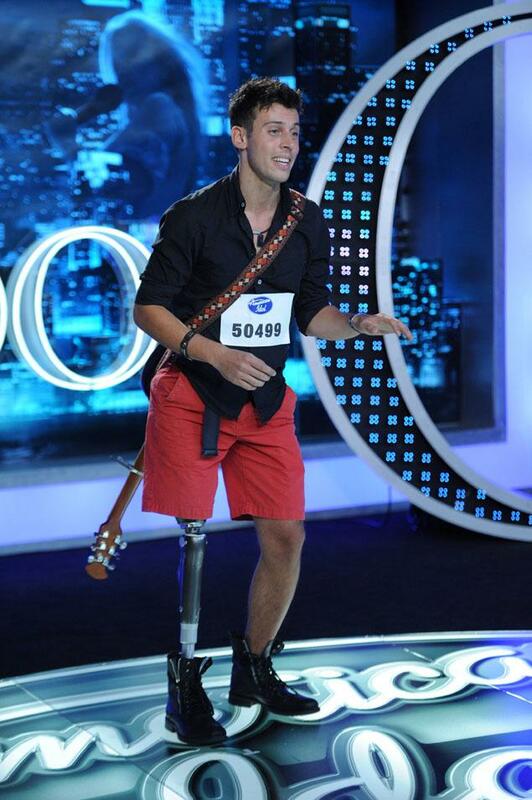 Now, he is a one-legged tap dancer! Evan is only 21 years old and to have been through so much already in his life and have the optimism he showed is incredible. The judges didn’t send him through but I thought he was pretty good…at least worth another shot in Hollywood. Jessica Kartalis. 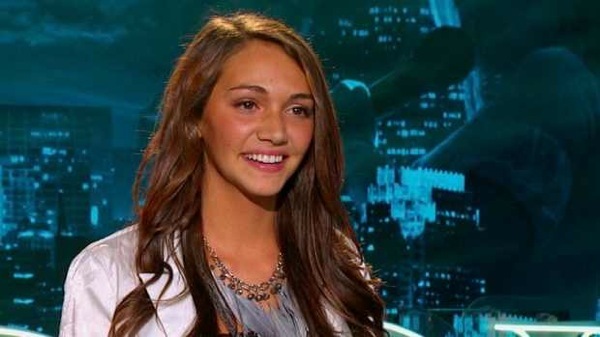 This year, they let people nominate singers that they know (mainly for those people who didn’t believe in themselves enough to go audition on their own or something) and American Idol selected Jessica Kartalis, who was nominated by her mom. 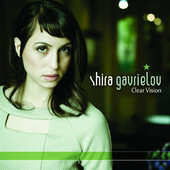 Shira Gavrielov. AI did a bit showing all of the people from other countries auditioning. I don’t really know how I feel about that. It’s called AMERICAN Idol for a reason. I’m not sure if these people are legal citizens of America but I feel like that should be a requirement. With that being said, they showed a girl named Shira Gavrielov from Israel who sang Valerie by the Zutons (also covered by Amy Winehouse). Apparently she is a big star in Israel and wanted to test her skills in America. Above is a picture of her CD cover from Israel, which is also on iTunes. Shira has a pretty voice but it was a little awkward to me and I’m not sure if it’s because of her accent or what, but they sent her through to Hollywood. Sarah Restuccio. She is 17 and basically lives on a farm. She sang a Carrie Underwood song and I didn’t love her but her voice was pretty. (It’s pretty hard to try to copy a Carrie Underwood song because I think her voice is one of my favorite of all time). Randy wanted her to sing another song so she sang/rapped Super Bass by Nicki Minaj and it was flawless. Watch her audition here. 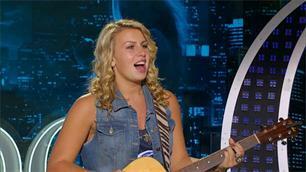 It’s funny because she’s a little country girl singing Carrie Underwood and Nicki Minaj in the same audition. Brett Holt. 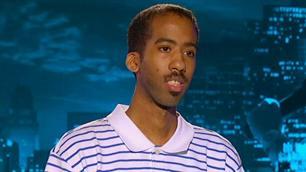 This guy said he has auditioned for American Idol 7 times but he felt good about his audition this year. Here’s a shocker…he didn’t make it to Hollywood on his 8th try either. Seriously, how many times do you have to get rejected from a show before you find new dream or a new show? I would say two should be a good number, three times MAX. Gurpreet Singh Sarin. This guy had on a purple turban to match his outfit (he said that his turbans match every outfit) and that he has about 40-50 different turbans. 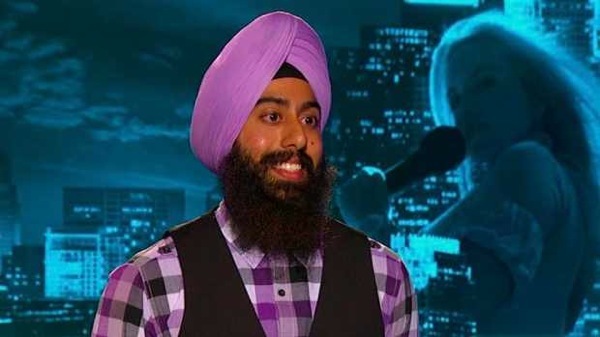 He also said his nickname is the Turbanator. Ashlee Feliciano. 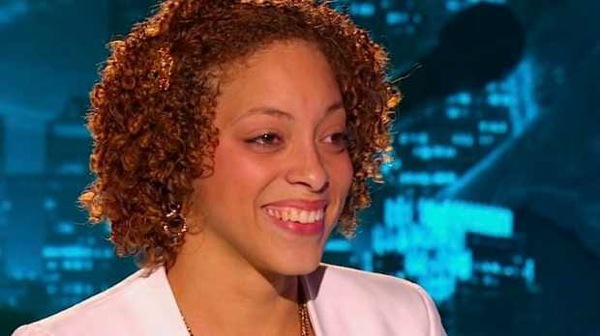 This girl was the last to perform and they always have someone really good or that has a good story and AI didn’t stray from tradition with Ashlee. Her family fosters and adopts medically complex children. Her story was amazing and I think it takes a special type of family to do what they do. And her voice was pretty great too. You can watch her whole story and her audition here. 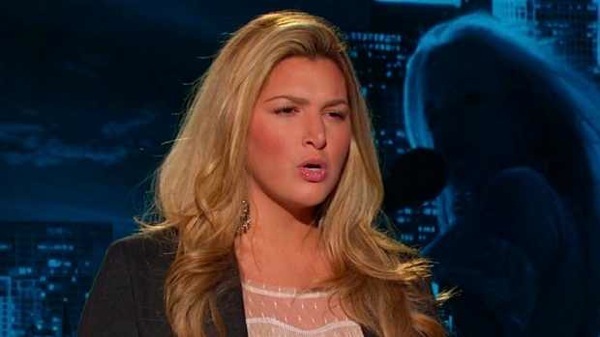 I go back and forth with seasons of American Idol. I watched the first two seasons, then the one with Carrie Underwood, the one with Jason Castro (fellow Aggie), and last year. All of the years in between those, I didn’t pay much attention to because I didn’t love anyone from the beginning. If they can hook me from the start with the auditions and Hollywood then I may continue to watch this season…we will just have to wait and see. 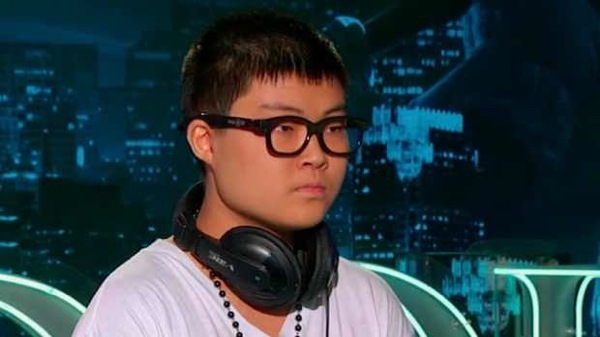 Did anyone else watch the American Idol premiere last night? What did you think of the auditions? Do you think you will be watching it this season?